With the development and the use of a large variety of DB schemas and ontologies, in many domains (e.g. semantic web, digital libraries, life science, etc), matching techniques are called to overcome the challenge of aligning and reconciling these different interrelated representations. Matching field is becoming a very attractive research topic. In this paper, the authors are interested in studying scalable matching problem. The authors survey the approaches and tools of large scale matching, when a large number of schemas/ontologies and attributes are involved. They attempt to cover a variety of techniques for schema matching called Pair-wise and Holistic. One can acknowledge that this domain is on top of effervescence and scalable matching needs many more advances. Therefore, they propose our scalable schema matching methodology that deals with the creation of a hybrid approach combining these techniques. Their architecture includes a pre-matching approach based on XML schemas decomposition. As shown by their experiments, their proposed methodology has been evaluated and implementing in a PLASMA (Platform for LArge Scale MAtching) prototype. In this section, we discuss the proposed solutions in the literature of the large scale matching problems. 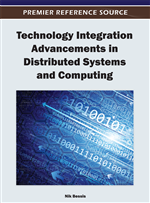 This issue has been tackled in holistic and pair-wise matching approaches, using different strategies e.g fragmentation, clustering, statistical, etc. We describe in the following section these different strategies and review the scalable matching tools. Being a central process for several research topics like data integration, data transformation, schema evolution, etc, schema and ontology matching has attracted much attention by research community. The matching has been approached mainly by finding pair-wise attribute correspondences, to construct an integrated schema for two sources. Several pair-wise matching approaches and tools over schemas and ontologies have been developed.